Ballymena United manager David Jeffrey was named NIFWA Manager of the Month for a record 35th time. Jeffrey’s Ballymena United enjoyed a sensational November with league victories over Glenavon, Glentoran, Cliftonville, Glentoran and Newry City. 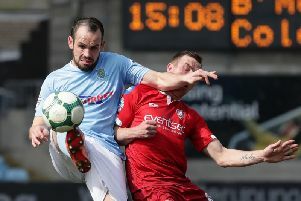 The Sky Blues also booked their place in the semi-finals of the League Cup with a win over Ards. Jeffrey said, “I must thank the Football Writers’ for this award. I can assure you that this means as much to me as my first award. “But credit must go to my backroom staff and my players who have been magnificent in recent weeks.